Is it just me or does everything in the world get earlier and earlier every year? At any rate, I'll quit my bitching and get to the point. 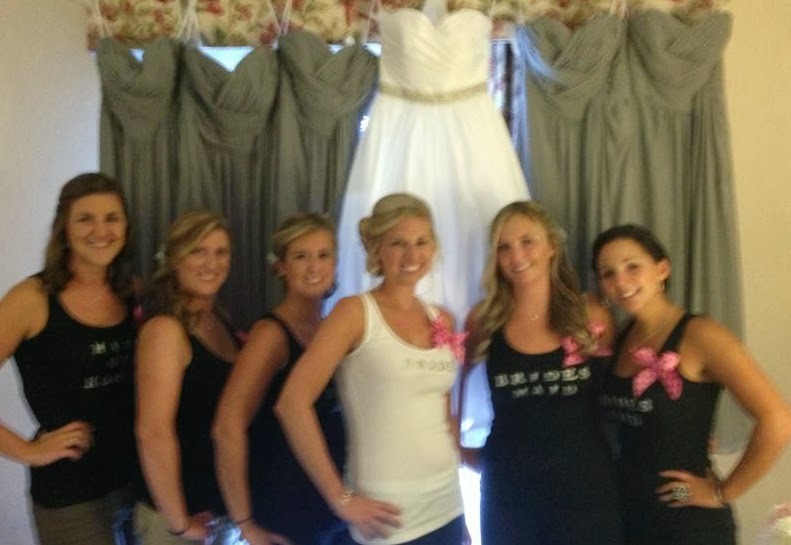 My Bestie got married in the beginning of September, you can see recaps HERE and HERE. 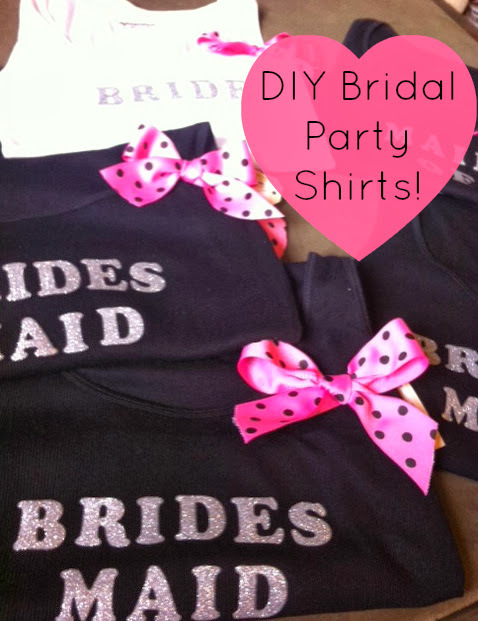 Being the little "DIY" that I attempt to be, I decided to make some cute "getting ready" tank tops for the girls while we got ready for the big day. First, machine wash and dry your shirts. 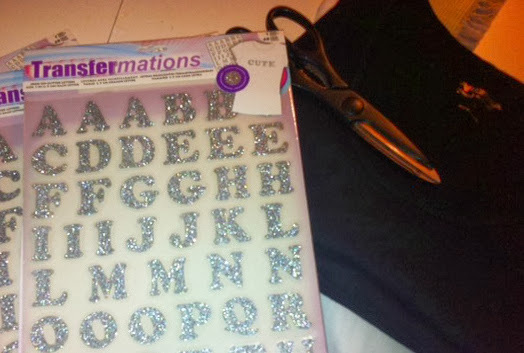 Next, cut out all of the letters you need from the Transformation sheet. Layout the letters and then iron them onto the shirts. The directions on the letters, will most likely say "place a towel or cloth in between letters and iron". To be honest, after my letters kept falling off, I laid the iron right on top of the letters and it seemed to work a lot better (I would test a little corner with your iron first to make sure the letters don't stick). Turn shirts inside-out and iron the back of the letters also. Lastly, if you want to add a bow you can tie your ribbon and add a safety pin. Or if you know how to sew (unlike me) you can sew them onto the shirts! Last but not least, look cute in them! Perfect for getting over our up-do's!